A couple of months ago I received an email from a group that associates itself with Ayn Rand’s Atlas Shrugged (It was a novel that opened my eyes). PBS Television is holding a “Great American Read” contest. The email from the group noted that along with Atlas Shrugged, such novels like Fifty Shades of Gray were listed. The impetus was to not allow Gray to make it and not Shrugged. The list is very interesting and I’ve been voting pretty much every day since…and not just for Atlas Shrugged. 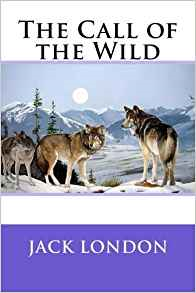 The list of literature had many books that I’ve read and many that I hadn’t so I purchased or borrowed some that I hadn’t read for decades (Don Quixote) and many that I hadn’t read…hence this review of Jack London’s The Call of the Wild . The basic story is through the eyes of a dog named Buck. Buck is comfortable living with a family, but his life changes when he is stolen and sold to become a working dog in the cold North. The novel shows the transformation of what would be a pampered pet to one where mere survival is a daily struggle. Awesome book! This article was published on Aug 21, 2018 . It is tagged jack london, The Call of the Wild. You can follow any responses to this article through the comment RSS feed.